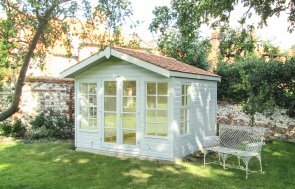 This unique building was recently designed and hand-built in Norfolk for a customer based in March, Cambridgeshire who wanted an outdoor retreat that would double up as a work-from-home office. The timber garden building was delivered and installed as part of our exceptional service by the in-house installations team. 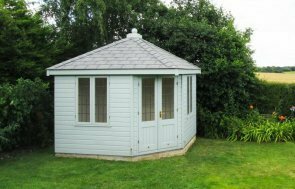 Measuring 1.8 x 2.4m, the building has an apex roof covered in grey slate composite tiles and was originally modelled from our Holkham Summerhouse but slightly changed to suit the needs and desires of our customer. The exterior is clad with smooth shiplap and painted in the opaque paint shade of Sage, which was selected by the customer from our range of external paint shades, including a Farrow & Ball palette and colour-matching service. There are four opening windows that all feature double glazing and supply a desirable amount of both ventilation and natural light. 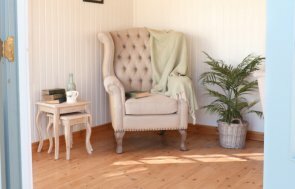 Internally, the building is fully insulated to allow year-round use and benefits from painted pine lining in the shade of Ivory for a contemporary feel. 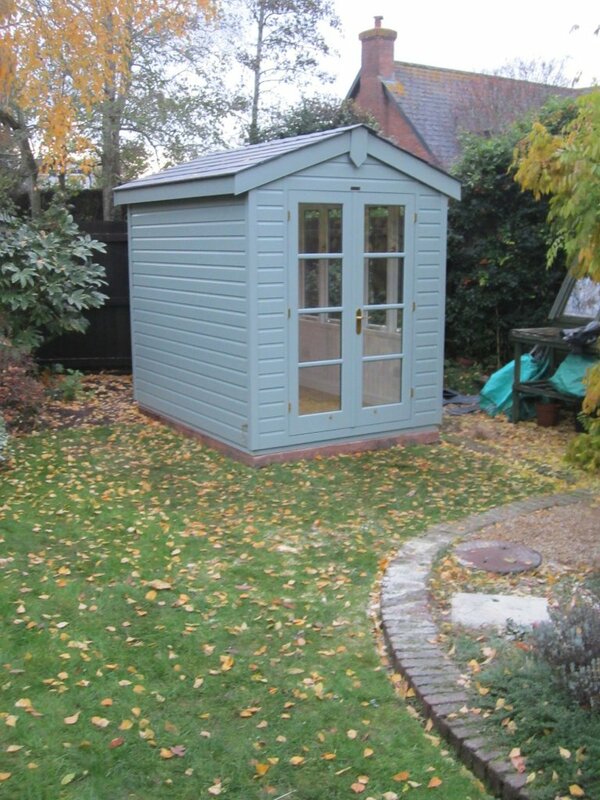 The floor has a natural lacquer applied for some protection and ease of cleaning, and an electrical pack has been installed so that appliances and lighting can be used, an essential factor when building a garden office. If you have been inspired by this attractive building or wish to find out exactly what Crane could do for your outdoor space, get in touch with us on 01760 444229. Alternatively, visit us at your nearest showsite.